The official ARES & CD-MAKE 2019 Reception takes place at Eliot Hall. Enjoy delicious finger food with a bottle of lager, mingle and network. Eliot College is the longest established college and is named after the famous poet. From the dining hall windows there is a magnificent view of the Cathedral, which is spectacular at night. 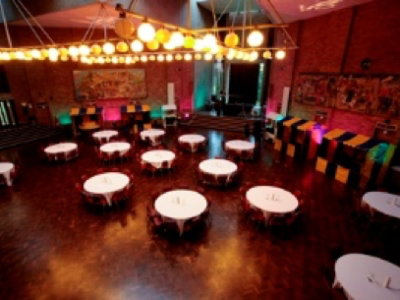 You can reach Eliot College from Keynes College within a couple of minutes. 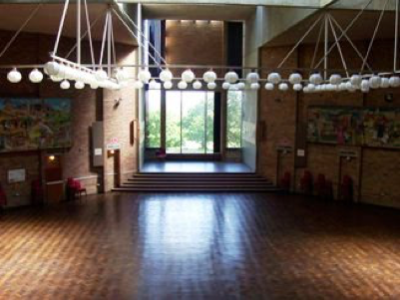 Entering Eliot college go directly across the atrium, through the double doors and down the stairs to the dining hall. The heart of the city is dominated by the magnificent and famous UNESCO World Heritage Site, Canterbury Cathedral. Ancient Roman walls, a Norman Castle and the medieval Westgate Towers encircle the charming cobbled streets which are dotted with historic buildings full of stories of pilgrimages and famous characters. An eclectic mix of old and new, Canterbury is a vibrant city full of thriving independent businesses, restaurants and pavement cafes, making it a wonderful location for visiting families and groups. The annual Canterbury Festival boasts an array of international art, music and literary events, adding to the cultural significance of the city which, alongside its historic importance, attracts visitors from all over the world. 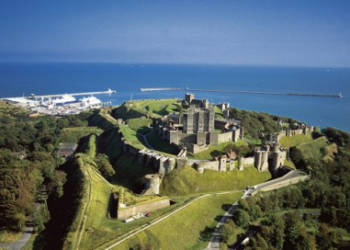 After visiting Dover Castle and the famous Dover White Cliffs, we will gather in the stone hall for an aperitif. William Burges, one of the most important architects of the Victorian Age, refurbished the stone hall, originally founded in 1203, in 1853. The windows are a wonderful example of Victorian stained glass and depict six Lord Wardens of the Cinque Ports in scenes from Dover’s past. 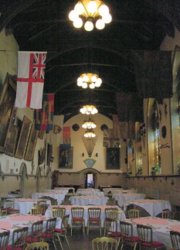 The hall is complete with flags and banners of the Cinque Ports, arms and armour and portraits of former dignitaries of Dover. 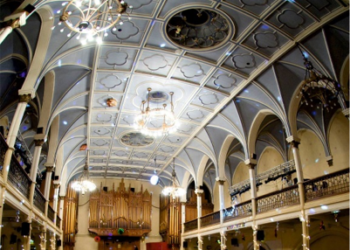 The official Conference Dinner will be held in the Connaught Hall, which was originally opened in 1880´s as a concert and meeting hall very much Victorian with pillars and balconies and a magnificent dance floor.